You know that having good cardiovascular health can help you avoid experiencing a heart attack or a stroke. But did you know that it's also related to having good health and aging more slowly across the board? That's because having a healthy cardiovascular system is linked to longer telomeres, which are a strong indicator of your health and longevity. We've talked about telomeres before, but I'll offer a quick recap. Those of you who know what telomeres are may be groaning at my joke right now because telomeres are like caps on the end of your DNA, keeping your DNA strands from unraveling. Every time your cells divide, the caps get a bit shorter. 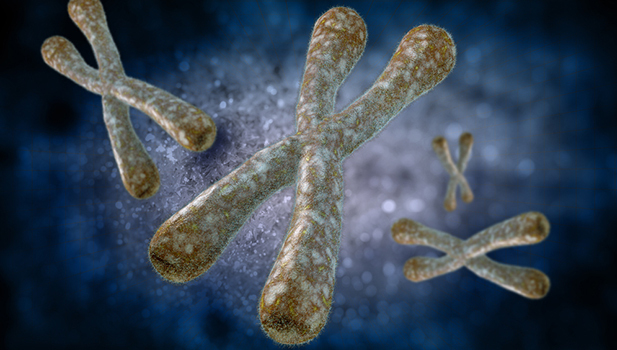 Longer telomeres mean healthier DNA and a healthier you, so you want to engage in behaviors that keep them long and avoid anything that shortens them prematurely. You might assume that there's some overlap in the behaviors that keep your cardiovascular system healthy and those that keep your telomeres long. Researchers at the National Institutes of Health thought so too, but they wanted to prove it. For a study published in the Journal of the American Heart Association, they looked at data from over 5,000 people who participated in the National Health and Nutrition Examination Survey 1999-2002. They analyzed their cardiovascular health according to smoking status, physical activity, diet, body mass index, blood pressure, total cholesterol, and fasting blood glucose. They then divided the participants into three groups: poor, intermediate, and ideal cardiovascular health. Then they looked at their telomeres. Sure enough, the telomeres of people in the poor and intermediate groups were much shorter than the telomeres of people in the ideal group. The connection was particularly strong for women as well as for non-Hispanic whites. If you want to have long telomeres, you should strive to be in the "ideal" cardiovascular group. If you're a smoker, you need to stop as soon as possible. Then make sure you're engaging in regular physical activity and eating a healthy diet. That will help you with all the other metrics as well. You can also get a leg up by taking nutrients that will help you lower your blood pressure, cholesterol, and blood sugar. You can learn more about these nutrients at www.advancedbionutritionals.com. By protecting your cardiovascular health, you'll actually be slowing down the aging process altogether!